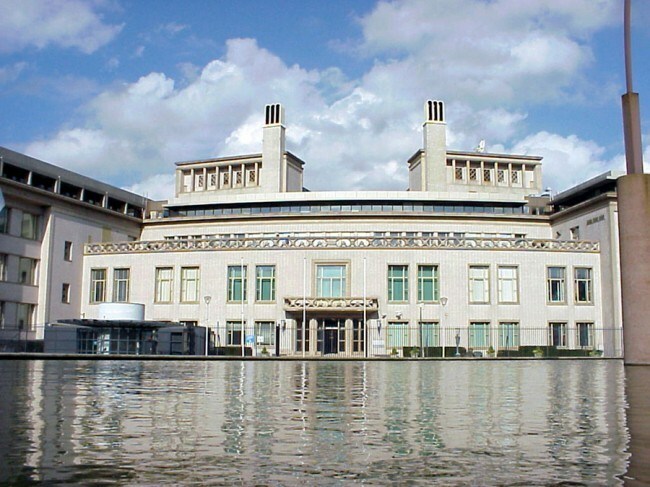 BELGRADE – The International Criminal Tribunal for the Former Yugoslavia (ICTY) in The Hague has determined that the late Serbian president Slobodan Milosevic was not responsible for war crimes committed during the 1992-95 Bosnian war. In a stunning ruling, the trial chamber that convicted former Bosnian-Serb president Radovan Karadzic of war crimes and sentenced him to 40 years in prison, unanimously concluded that Slobodan Milosevic was not part of a “joint criminal enterprise to victimize Muslims and Croats during the Bosnian war. The March 24th Karadzic judgment states that “the Chamber is not satisfied that there was sufficient evidence presented in this case to find that Slobodan Milosevic agreed with the common plan to permanently remove Bosnian Muslims and Bosnian Croats from Bosnian Serb claimed territory. The Karadzic trial chamber found that “the relationship between Milosevic and the Accused had deteriorated beginning in 1992; by 1994, they no longer agreed on a course of action to be taken. Furthermore, beginning as early as March 1992, there was apparent discord between the Accused and Milosevic in meetings with international representatives, during which Milosevic and other Serbian leaders openly criticized Bosnian Serb leaders of committing ‘crimes against humanity’ and ‘ethnic cleansing’ and the war for their own purposes. The judges noted that Slobodan Milosevic and Radovan Karadzic both favored the preservation of Yugoslavia and that Milosevic was initially supportive, but that their views diverged over time. The judgment states that “from 1990 and into mid-1991, the political objective of the Accused and the Bosnian Serb leadership was to preserve Yugoslavia and to prevent the separation or independence of BiH, which would result in a separation of Bosnian Serbs from Serbia; the Chamber notes that Slobodan Milosevic endorsed this objective and spoke against the independence of BiH. The Chamber found that “the declaration of sovereignty by the SRBiH Assembly in the absence of the Bosnian Serb delegates on 15 October 1991, escalated the situation, but that Milosevic was not on board with the establishment of Republika Srpska in response. The judgment says that “Slobodan Milosevic was attempting to take a more cautious approach. The judgment states that in intercepted communications with Radovan Karadzic, “Milosevic questioned whether it was wise to use ‘an illegitimate act in response to another illegitimate act’ and questioned the legality of forming a Bosnian Serb Assembly. The judges also found that “Slobodan Milosevic expressed his reservations about how a Bosnian Serb Assembly could exclude the Muslims who were ‘for Yugoslavia’. The judgment notes that in meetings with Serb and Bosnian Serb officials “Slobodan Milosevic stated that ‘[a]ll members of other nations and ethnicities must be protected’ and that ‘[t]he national interest of the Serbs is not discrimination’. Also, that “Milosevic further declared that crime needed to be fought decisively. The trial chamber notes that “In private meetings, Milosevic was extremely angry at the Bosnian Serb leadership for rejecting the Vance-Owen Plan and he cursed the Accused. They also found that “Milosevic tried to reason with the Bosnian Serbs saying that he understood their concerns, but that it was most important to end the war. The judgment states that “Milosevic also questioned whether the world would accept that the Bosnian Serbs who represented only one-third of the population of BiH would get more than 50% of the territory and he encouraged a political agreement. In other meetings with Serb and Bosnian Serb officials, the judgment notes that Milosevic “declared that the war must end and that the Bosnian Serbs’ biggest mistake was to want a complete defeat of the Bosnian Muslims. Because of the rift between Milosevic and the Bosnian-Serbs, the judges note that “the FRY reduced its support for the RS and encouraged the Bosnian Serbs to accept peace proposals. 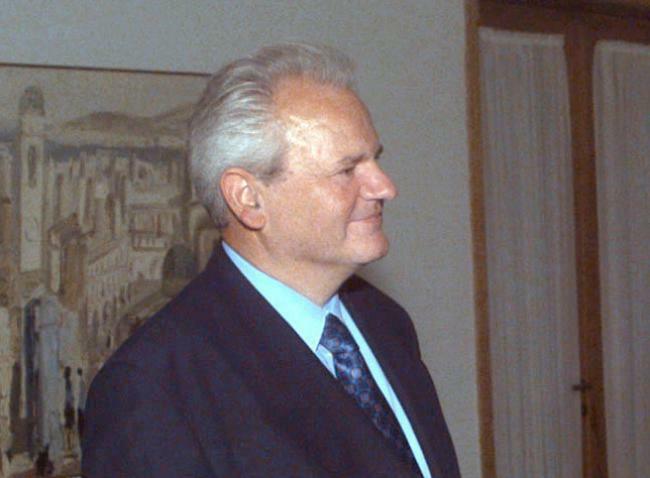 The Tribunal’s determination that Slobodan Milosevic was not part of a joint criminal enterprise, and that on the contrary he “condemned ethnic cleansing is of tremendous significance because he got blamed for all of the bloodsheds in Bosnia, and harsh economic sanctions were imposed on Serbia as a result. Wrongfully accusing Milosevic ranks right up there with invading Iraq only to find that there weren’t any weapons of mass destruction after all. Slobodan Milosevic was vilified by the entire western press corps and virtually every politician in every NATO country. They called him “the Butcher of the Balkans. They compared him to Hitler and accused him of genocide. They demonized him and made him out to be a bloodthirsty monster, and they used that false image to justify not only economic sanctions against Serbia but also the 1999 NATO bombing of Serbia and the Kosovo war. Slobodan Milosevic had to spend the last five years of his life in prison defending himself and Serbia from bogus war crimes allegations over a war that they now admit he was trying to stop. The most serious charges that Milosevic faced, including the charge of genocide, were all in relation to Bosnia. Now, ten years after his death, ICTY admits that he wasn’t guilty after all. The Tribunal’s official report on the inquiry into his death confirmed that “Rifampicin had been found in a blood sample taken from Mr. Milosevic on 12 January 2006. And that “Mr. Milosevic was not told of the results until 3 March 2006 because of the difficult legal position in which Dr. Falke (the Tribunal’s chief medical officer) found himself by virtue of the Dutch legal provisions concerning medical confidentiality. The presence of Rifamycin (a non-prescribed drug) in Milosevic’s blood would have counteracted the high blood pressure medication he was taking and increased his risk of the heart attack that ultimately did kill him. The Tribunal’s admission that they knew about the Rifampicin for months, but didn’t tell Milosevic the results of his own blood test until just days before his death because of “Dutch legal provisions concerning medical confidentiality is an incredibly lame and disingenuous excuse. 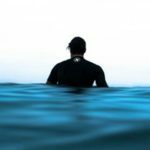 There is no provision of Dutch law that prohibits a doctor from telling the patient the results of his own blood test — that would be idiotic. On the contrary, concealing such information from the patient could be seen as malpractice. It’s an unsatisfying outcome that Milosevic has been quietly vindicated for the most serious crimes that he was accused of some ten years after his death. At a minimum financial compensation should now be paid to his widow and his children, and reparations should be paid to Serbia by the western governments who sought to punish Serbia in order to hold Milosevic “accountable for crimes that their own Tribunal now admits he wasn’t responsible for and was, in fact, trying to stop.